Mountune heeft details & prijzen vrijgegeven rondom een power boost pakket voor de 2016 Ford Focus RS, wat neer komt op 370pk ze vonden 345pk wat magertjes. Het mooie is dat je de garantie er niet mee verspeelt. Dus ben je één van de gelukkigen die een 2016 Focus RS bezit en ben je het helemaal eens met Mountune dat het altijd nog net even beter kan, dan weet je waar je moet zijn. Hieronder vindt je alle informatie over dit upgrade pakket. 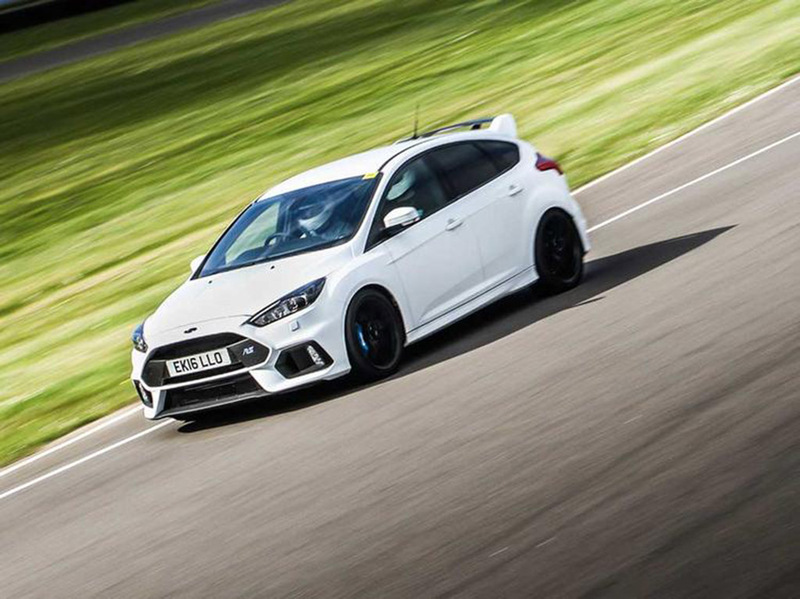 Previously, specialist tuner Mountune announced its Phase 1 and Phase 2 upgrades for the newly launched Ford Focus RS – and now the full details of the upgraded car have been revealed. 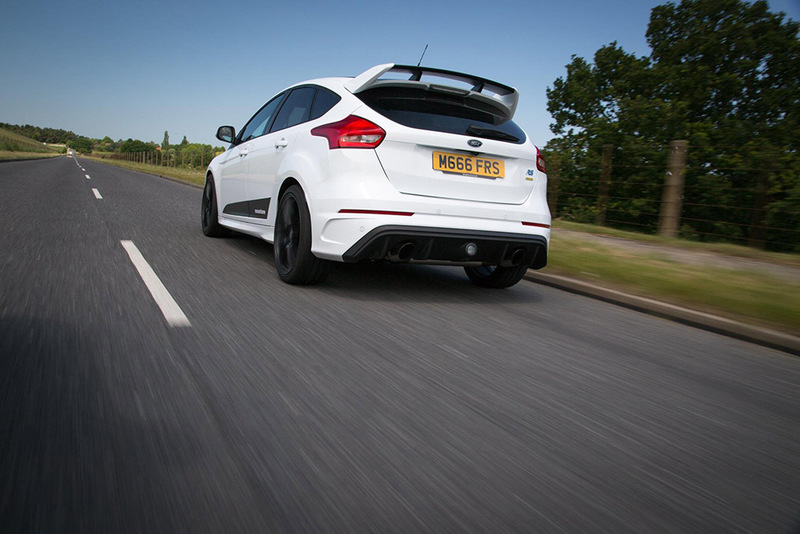 The Mountune upgrades for the Focus RS add an extra 25bhp, up to 370bhp, and peak torque up to 510Nm – an increase of 40Nm. That means the 0-62mph sprint is cut from 4.7 seconds to just 4.5 seconds, though the top speed remains at 165mph. The upgrade costs just £899 in the UK and takes just one and a half hours at a Mountune-appointed Ford dealer. It retains the full manufacturer warranty, which is for three years or 60,000 miles from the first purchase. The kit itself is made up of an uprated air filter, new ducts and silicone hoses, an upgraded air re-circulation valve and an ECU remap. Michelin Pilot Sport Cup 2 tyres and a Quaife Differential are also available at extra cost, along with the Phase 2 Alloy Intercooler upgrade. The initial set of parts included a selection of ‘easy first-off modifications’ including upgraded pipes and hoses, as well as stickier tyres and a new differential. All the parts have been extensively tested on the gruelling Nurburgring race track – as well as on the road and dyno – to ensure perfect fitment, function and reliability. Customers will need to wait a little longer for an outright power boost. The Mountune store is currently listing all the parts – including the Phase 1 hoses and roll restrictors, as well as lightweight 19-inch OZ Racing wheels and a high flow air filter. You can even buy a yellow gearknob, Mountune floor mats and ‘Dynamic Side Splash’ stickers for the sills.